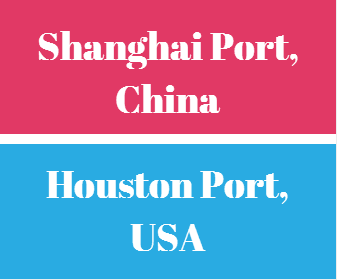 What is the transit time between Shanghai Port and Houston Port? China and USA have strong international business ties. China ships 19% of its total exports to USA in year 2013. Accordingly, 22% of total USA imports are coming from China in year 2013. How long does it take for a container vessel to come from Shanghai Port, China to Houston Port, USA? Today I would like to explain the transit time between Shanghai Port, China and Houston Port, USA. I will be giving two different examples of shipment schedules from container lines, that are working between these two important ports. As one of the world’s busiest ports, the Port of Houston is a large and vibrant component of the regional economy. Centrally located on the Gulf Coast, Houston Port is a strategic gateway for cargo originating in or destined for the U.S. West and Midwest. Houston lies within close reach of one of the nation's largest concentrations of consumers. More than 17 million people live within 300 miles of the city, and approximately 60 million live within 700 miles. 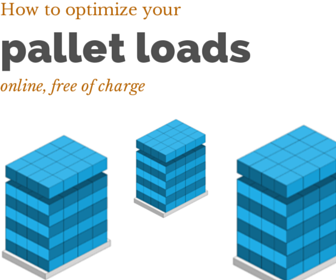 As a result the transit time between Shanghai Port and Houston Port is an important piece of information for exporters and importers using this container freight route. Now let me try to show you the transit time between Houston Port and New York Port via different container liners as belows. China Shipping follows Shanghai Port, Pusan Port to Houston Port route with its own container container vessels. The transit time is around 23 days. It is an express service. You can search China Shipping's Shanghai Port to Houston Port current vessel schedules from this link. What is the transit time between Shanghai Port and Houston Port via CMA-CGM? CMA-CGM follows Shanghai Port, Busan Port, to Houston Port route with its own container container vessels. The transit time is around 24 days. It is an express service.